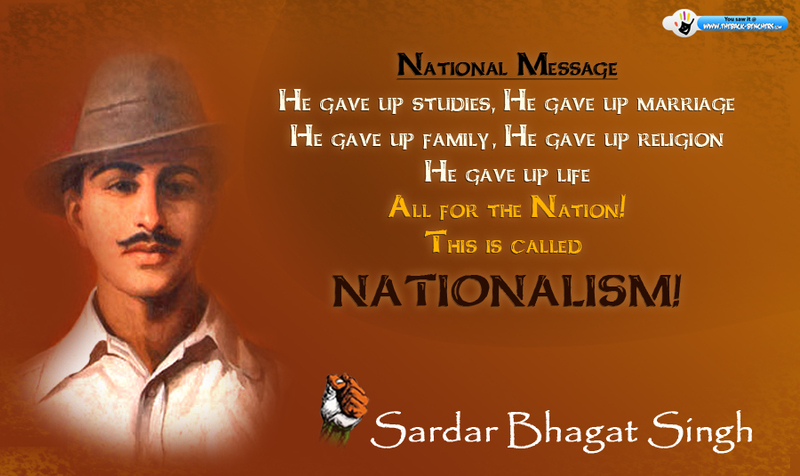 September 27 marks the birth anniversary of the greatest son and freedom fighter of India, Bhagat Singh. He was born on this auspicious day in 1907 in Lyallpur district of the Punjab Province of British India. He was a patriot by birth and was always ready to go to any extent that is beneficial for country’s independence. His bravery is world known. This post is a simple tribute to this brave and fearless fighter. He lived only for 24 years but within this short span of time, he was able to make an everlasting impact on millions of millions of Indians. When Bhagat Singh was 12 years old, he visited the site of Jallianwala Bagh massacre where thousands of unarmed innocent people were killed which marked an impact of British cruelty on Indians on his mind. He was disillusioned with Gandhi philosophy of non-violence after Gandhi called off the non cooperation movement. He had devoted his entire life for the cause of nation and that is why he was reluctant to get married. In fact he left the home to avoid marriage and wrote a letter in which he had quoted. Simon Commission was set up by British in 1928 but it did not have any Indian members. So there was a huge protest across the country. Lala Lajpat Rai led a march in protest against the Commission. Police attempts to disperse the large crowd resulted in violence. The superintendent of police, James A. Scott, ordered the police to lathi charge the protesters and personally assaulted Rai, who was injured. Rai died of a heart attatck on 17 November 1928. In a way to take revenge of his death, Singh conspired with revolutionaries like Shivaram Rajguru, Sukhdev Thapar and Chandrashekhar Azad to kill Scott. However, in a case of mistaken identity, the plotters shot John P. Saunders, an Assistant Superintendent of Police, as he was leaving the District Police Headquarters in Lahore on 17 December 1928. 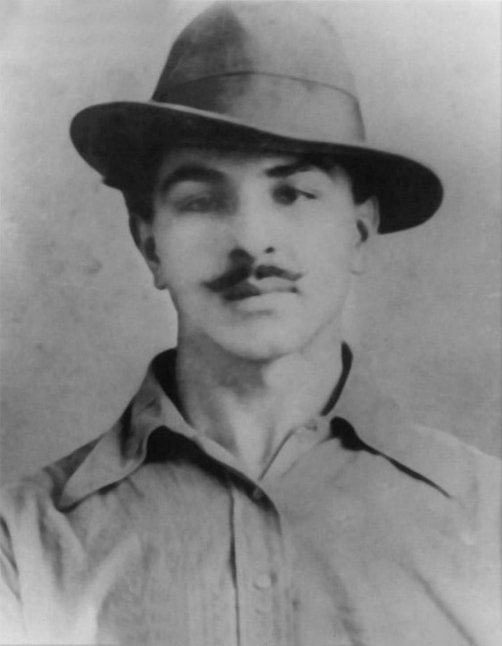 Bhagat Singh is most popularly known for his involvement in bomb explosion in Central Legislative Assembly on April 8, 1929. He along with his revolutionary friend Batukeshwar Dutt accompanied the explosion. They were present their only after the bomb blast and shouted the slogan “Inquilab Zindabad” and were arrested. The nominal intention was to protest against the Public Safety Bill and the Trade Dispute Act, which had been rejected by the Assembly but were being enacted by the Viceroy using his special powers; the actual intention was for the perpetrators to get themselves arrested so that they could use appearances in court as a stage to publicise their cause. 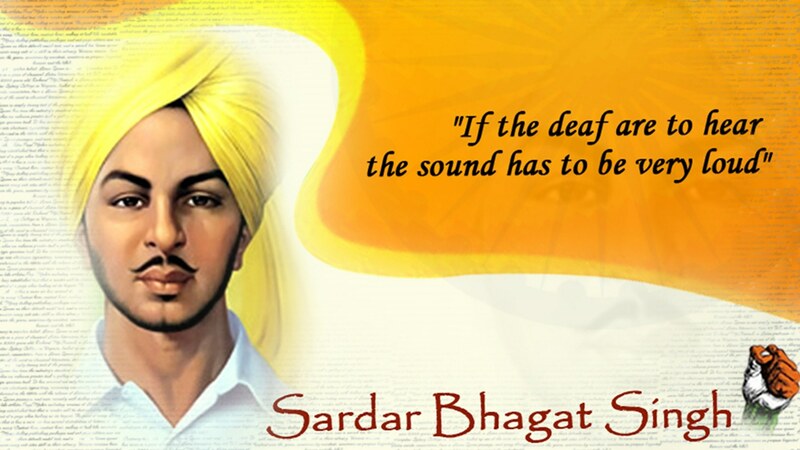 Their intention was not to kill but to make their voice audible to British government as in the words of Bhagat Singh – ” If the deaf are to hear the sound has to be very loud”. The execution started and based on the investigation Sukhdev, Bhagat Singh and Rajaguru were found guilty of Saunders murder, Assembly bombing and bomb manufacture and were put in jail. The discrimination between European and Indian prisoners in all areas in jail lead to infinite hunger strike started by Bhagat Singh and his followers in jail in order to protest. The Britishers used all the ticks and tricks including force-feeding and other tortures but were unable to put single drop of water in their mouth. The fast lasted for 116 days until it broke. Meanwhile, the trial continued and on 7 October 1930, the tribunal delivered its 300-page judgement based on all the evidence and concluded that participation of Singh, Sukhdev and Rajguru was proved beyond reasonable doubt in Saunders’ murder. They were sentenced to death by hanging. The remaining twelve accused were all sentenced to rigorous life imprisonment. On 23rd March, 1931, Sukhdev, Bhagat Singh and Rajaguru were hanged till death and became immortal in our heart. This day is celebrated as Shaheed Divas or Martyrs’ Day in India. Bollywood had also paid tribute to this son of India by making movies depicting his life and struggle. The most successful movie remains Manoj Kumar’s Shaheed which was released in 1965. In 2002 three movies were made on Bhagat Singh’s life namely Ajay Devgn’s The Legend of Bhagat Singh, Bobby Deol’s 23rd March 1931 Shaheed and Shaheed-e-Azam. The 2006 film Rang De Basanti is a film drawing parallels between revolutionaries of Bhagat Singh’s era and modern Indian youth. 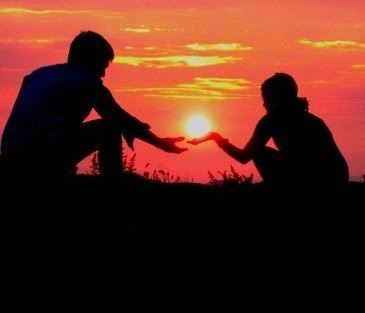 As regard the origin of God, my thought is that man created God in his imagination when he realised his weaknesses, limitations and shortcomings. In this way he got the courage to face all the trying circumstances and to meet all dangers that might occur in his life and also to restrain his outbursts in prosperity and affluence. God, with his whimsical laws and parental generosity was painted with variegated colours of imagination. He was used as a deterrent factor when his fury and his laws were repeatedly propagated so that man might not become a danger to society. He was the cry of the distressed soul for he was believed to stand as father and mother, sister and brother, brother and friend when in time of distress a man was left alone and helpless. He was Almighty and could do anything. The idea of God is helpful to a man in distress. This post is a tribute to one of the greatest son 0f India who hanged happily for the sake of nation. There is always a crowd. But there is still a void. The whole world is big in size. But there is no place to properly reside. The feeling of loneliness taunts him. With a hope of having a joy. Walking in an unknown path. Waiting for proper time to fly. He used to get hurt. That is his ultimate desire.